Aero Express is an Authorized Distributor for the Barfield 1811NG Test Set. Aero Express will buy, sell and trade the 1811NG depending on your needs. 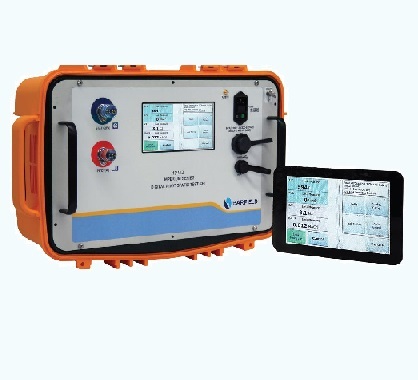 The 1811NG performs altimeter and static systems tests and inspections directly supporting General Aviation, Helicopter, UAV, Non-RVSM Regional and Corporate aircraft. Critical components used in the 1811NG have a well-established history of proven flight line reliability & accuracy – including case, pumps, valves, and pressure transducers. Express Calibration is an Authorized ISO-17025 Calibration and Repair shop for the Barfield 1811NG. Visit www.expresscal.com for full capabilities.